It’s one of the most frustrating situations when you buy products from China. In general most products arrive pretty fast, within 2 weeks. But recently, it becomes longer and longer. This summer I made a lot of test purchases. Small products, often less than 5 bucks. I buy these products to test the stores mechanics, customer service and delivery time. These little things are nice small gifts to my daughters. Because these products are that small, I do not use any premium shipping method. Only free shipping. No tracking number (if optional) and no insurance. The extra costs are often as high as the total amount of the purchase. For what I see, the shipping times are getting worse. Up to no delivery at all! Let’s look at this chart. These are purchases I made at SammyDress, RoseWholesale, RoseGal and Everbuying. Half of the number of purchases never arrived. And there is a HUGE discrepancy between the time for handling (#days b4 shipped) and the actual delivery time. For example, the dragon earpiece was shipped the same day and delivered after 72 days (just last week). See the images below. First check the yellow circle. This is the order date. August 12th. Second check the blue circle. This is the date that the parcel was handed over to Chinapost. (there is 1 day difference) August 12-13th. Third check the green circle. This is the tracking number. Conclusion 1. It’s the same parcel. Fourth check the red circle on the envelop. 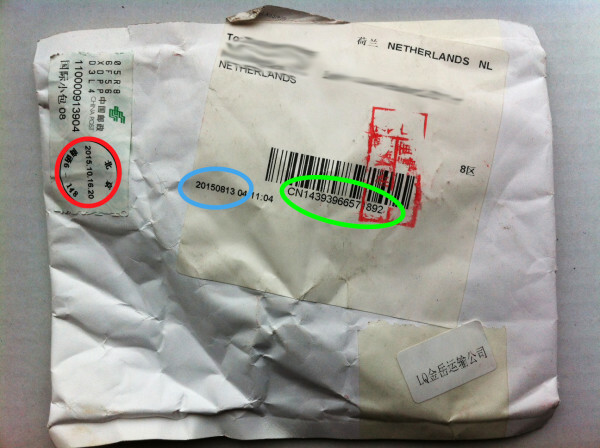 This is the time that ChinaPost handled this parcel. October 16th!!!!! Two months later! Last week 3 parcels arrived from 3 different stores ordered at 3 different times. This could be an coincidence, but we know better. All stores above are stores from the same owner, so probably also the same warehouse. When you check the labels on the envelops, you see these are all created the same way. So, the previous conclusion stays. I cannot figure this out completely. I think ChinaPost holds these parcels and sends them all together in bulks or something, to fill the empty spaces in cargo flights. See this blog. Free shipping. But these delivery times are unacceptable! 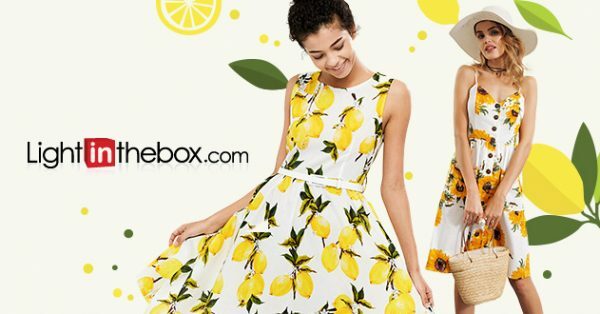 I have had some problematic deliveries before with SammyDress and they always solved the situation. Or they resent the products or refunded the money. And they will probably do this the same this time. So I don’t think the problem lays there. Maybe you think why I haven’t asked for a refund this time? Since the purchases aren’t that big, I like to change it into an experiment. Let’s see if and when the other parcels will arrive… I’ll keep you posted! Do you have experiences with extreme long deliveries? Please tell me your experiences with delivery times in the comment box below! This is it! Wishing you a great week! And thank you for liking and sharing this post! 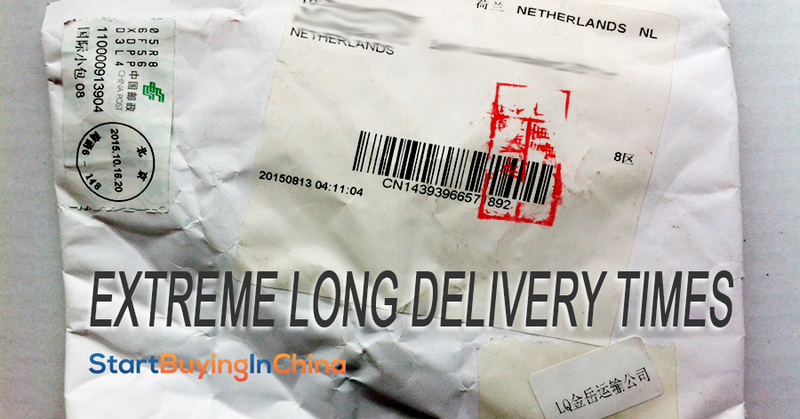 17 replies to "Extreme long delivery times…"
…http://www.gearbest.com and www . vapor . gearbest . com. Thank you for your long comment. And I’m happy Gearbest is of great value to you. I haven’t dealt much with them yet. But good to hear. When it comes to ex-USSR countries, I feel like delivery time is just an utter free-for-all. People often say that there’s little to no direct flights to anywhere here but Moscow, so it takes a long time to find a suitable cargo flight for their packages, or that unregistered shipments are routinely stolen by post office personnel, however I live in Moscow and always pay for tracking number, yet still, anything goes. Stuff can arrive withing 10 days or after 5 months. My most recent purchases arrived in 3-4 weeks, but still, I’m ready to any delay when I order anything online. China Post itself though isn’t nearly as bad as it may seem: if a package doesn’t leave China within a week, it might be because a seller used a small domestic carrier that needed to have that package processed first before handing it over to China Post, happens especially often with Yanwen or WeDo Express. You say ‘but still, I’m ready to any delay when I order anything online‘. That’s probably the best advise anyone can give. Just be patient! The last 11 product I resieve from aliExpress, have delivery-time of 19-43 days. only 2 product with more than 30 days. one of them expired, but Ali and the seller always in contact with me to solve the problem. seller offered me full refound but 2 days later i reseived the product. Latly AliExpress become my favorite website, it have everyting and good service, but no Paypal yet. Until now I have order about 40 product from your china shop, and no lost yet. I have recomend your site to some freinds already, they just love it, and they alredy made they first china buy. We are all very greatful for all your help and edvice, shopping in china. Thank you Guido for the kinds words! AliExpress is also one of my favorites, just because of the dispute system. Great to hear you have no lost purchases so far! This is exactly what I encounter too. I takes a very long time to leave the country. And second, registered orders have no guarantee they will be faster at all. You confirm my opinion. Let’s hope it will be better soon! Ive ordered a bathing suit on the 12th of may on aliexpress. On the 7th of august I’ve opened a dispute and got my money back. i had contacted the seller before and the keep extending purchase protection. but in august i thought i’ve waited long enough. a week after i got my money back the bathing suit arrived and it was terrible quality so i was happy i got it for free :). The sellers name was Fook Koof. if you say that quickly it sounds like F*ck off so i was already scared i was being scammed ;). That was the longest time waiting. mostly it takes 3 or 4 weeks. 9 items of 46 i’ve ordered on aliexpress did nog arrive at all. i think that most of the items that didn’t arrive where orders from the last 5 months. before more arrived. i also noticed that the mail is getting slower. Funny name indeed! The dispute system on AliExpress makes it easier to get your money back. I don’t think the 9 items will arrive. But maybe…? Dealsmachine has not delivered at 87 days from today, ordered a simple being, cost $ 13.00 UDdollar. Have written to them four times for non-delivery, but nothing has unfortunately happened or no real response from them, only to wait as will the goods. But I know better because I have been through similar past, Dealsmashine do not care about their customers! Sad to hear… DealExtreme might be a better store than. Well, I have had registered orders from China, that took more than 2 months to arrive, just to leave China took more than a month. Why???? Because many times they’re in transit in China, they go from one city to another until they’re put on a flight to Portugal! 2 months ago I bought something on ebay (not registered), and I’m still waiting for the package. Sometimes it happens to take more than 2 months to arrive here in Portugal!